In this activity, students make hypotheses regarding household items and then test them. Students learn about acids and bases through a class discussion and then test a dilute acid and dilute base with neutral litmus paper to learn how the paper indicates something is acidic or basic. Once students master that skill, they can move on to test some common household items to determine if they are acids or bases. Extra litmus paper is included to test more items either from home or around the school building for a greater understanding of acids and bases. 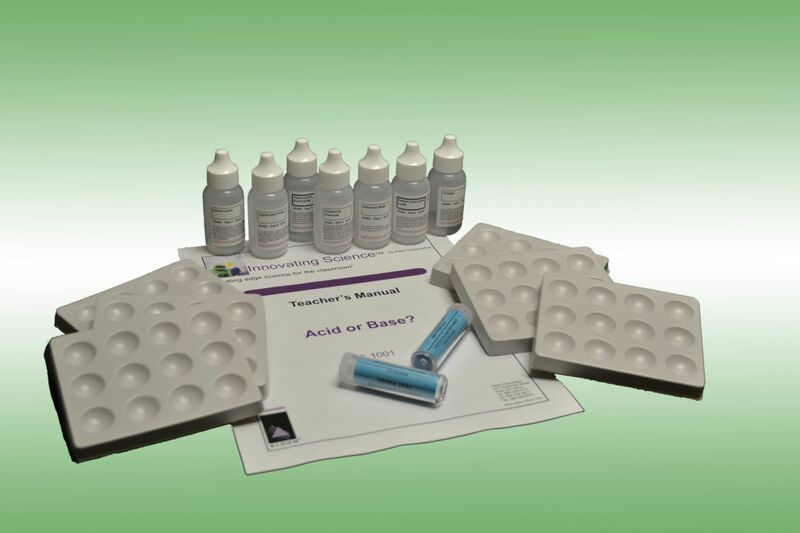 Ordering information: This kit includes hydrochloric acid solution, sodium hydroxide solution, distilled water, vinegar, dilute ammonia, liquid soap, lemon juice, neutral litmus paper, spot plates, a teacher's guide, and a student copy master. Caution: Caution:CHOKING HAZARD This item has small parts and is not for children under three years.